Over the years we have seen many people celebrate the 14th of February commemorating a martyred saint. The cause for their celebration is surprisingly contrary to the violent end of the saint. Nevertheless, the day calls for an overflow of candyfloss in terms of cinema too. But how can a blog called Sordid Day recommend the same? So, as a compromise we have come up with three recommendations for the day. While all of them are inherently romantic films, they offer much more than mere cheesiness. The recommendation begins with an Italian tearjerker with a heart-warming tale woven around a real poet, move to a Cantonese saga where style threatens but never overpowers the story and finally wind up with an Irish minimalist musical that can brighten up even the gloomiest of all people. People often stretch themselves emotionally and physically, but how often does one stretch oneself intellectually? This is the theme Il Postino (The Postman) explores. Mario (Massimo Troisi) is an innocuous man in a nondescript Italian coastal settlement where his job as the postman is an exciting deviation from banality as everyone else including his father is a fisherman. But owing to his humble beginning and a complete lack of exposure, he struggles to express himself. But all that begins to change when poet Pablo Neruda (Philippe Noiret) visits the place for a brief sojourn. Mario takes the job of delivering the letters to the poet. The two form an unlikely friendship and Neruda teaches him how to express his feelings through poetry and metaphors. He is more or less inspired by Neruda’s poems but occasionally also comes up with original metaphors. He learns to compare the smile of his muse Beatrice (Maria Grazia Crucinotta) with a butterfly and finally wins her heart despite stiff opposition from her aunt. But as they say, life is never fair! Disarmingly underplayed, enchantingly romantic and eventually tragic, this film rides on the subdued performances of Troisi and Noiret. Director Michael Radford, who has dealt with much darker and heavier themes in films (such as the 1984, adaptation made in 1984) delivers an moving vision of contrasting worlds of a renowned poet and a village simpleton. The story is also enriched by Luis Bacalov’s score. But if you need a more compelling reason to watch this film, you must know that actor and writer Massimo Troisi literally gave his life for this film. Despite failing health, he defied his doctor’s advice to work on this film and passed away just after the final shot. It tells the story of a journalist Chow Mo-wan (Tony Leung) and an attractive neighbour Su Li-zhen (Maggie Cheung) living in 1960’s Hong Kong. Both are married but apparently their spouses are too busy to pay attention. So much so that they are not even shown in the entire film, we only hear their voices. Inevitably, a secret and adulterous affair begins between the two. But how would is shape up? Can they simply break the shackles of their socially accepted relationships or will they merely remain tormented by the ashes of their feelings for the rest of their lives? With a name like that it is easy to mistake it for candyfloss romance. But then Wong Kar-wai is not someone who thrives in overt melodrama. As a master of subtlety and visual poetry he always hints at more things than he what he actually shows. 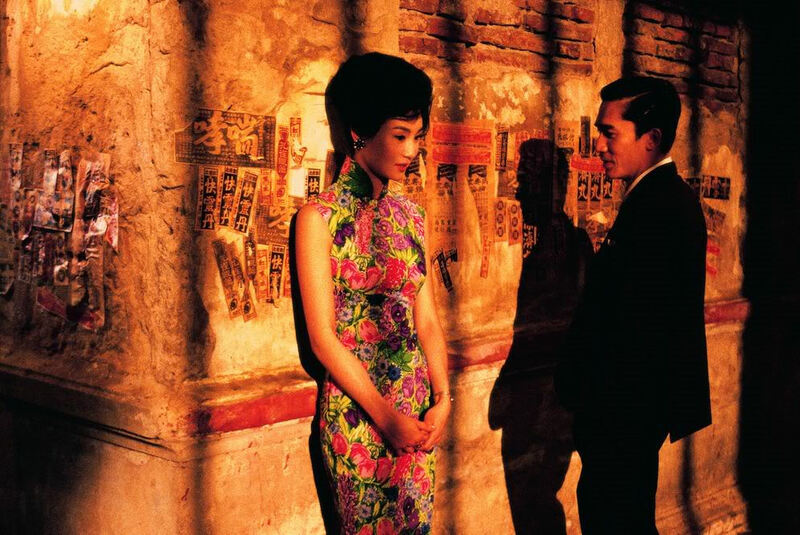 In the Mood for Love is probably one of Kar-wai’s most accomplished works that combines the visual flourish of seductively saturated colours, mood lighting and sinful music with a passionate tale of subdued emotions. Cinematographer Christopher Doyle captures the banal lives of bored spouses with scandalous yet lyrical movements. The repeated visuals of a woman in red descending down the staircase never feels redundant as it is always backed by an eclectic soundtrack that features the amorous Yumeji’s theme by Shigeru Umebayashi, the soulful Aquellos Ojos Verdes by Nat King Cole and the bewitching Bengawan Solo by Rebecca Pan among others. As always, Wong Kar-wai deals in unfulfilled love, longing and loss throughout the film. If you need a sumptuous dose of heartache on the V day, this film will provide that to you. Finally, here is a much lighter film compared to the previous two. John Carney’s musical drama Once tells the story of an unnamed busker (Glen Hansard), who sings around the streets of Dublin. He is lonely and tormented by a past affair that apparently failed. He doesn’t have much to look up to nor does he have the inspiration to try something new. A Czech immigrant girl (Marketa Irglova) notices him and gets fascinated by his music. She supports her family with much hardship and as it turns out, she is also a musician. They slowly get acquainted with each other and find a new motivation to live, to create great music and record an album. The beauty of the film is in its simplicity and complete lack of pretense. Made with a shoestring budget and somewhat cinéma vérité feel, it stays away from any emotional complexity as well as technical gimmicks. It is a musical and it stars two people who are not trained actors but real musicians. Both Hansard and Irglova are real life collaborators and accomplished musicians who have also composed the songs for this film. Once is not merely a film but a celebration of life. It makes you feel good about life itself and so no one can possibly dislike this film. The Oscar winning song Falling Slowly will make one fall slowly in love with this film if nothing else!